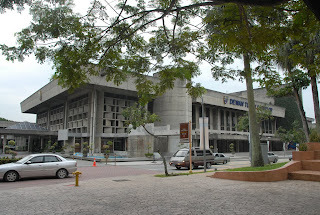 The University of Malaya (Abbreviation: UM; Malay: Universiti Malaya) is the oldest university in Malaysia. 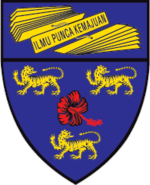 The university motto is Ilmu Punca Kemajuan (English: Knowledge is the Source of Progress). It is recognised as one of the top universities in Malaysia and in the top 200 universities of the world. In 1912, the medical school received an endowment of $120,000 from the King Edward VII Memorial Fund, started by Dr Lim Boon Keng. Subsequently on 18 November 1913, the name of the school was changed to the King Edward VII Medical School. In 1921, it was again changed to the King Edward VII College of Medicine to reflect its academic status. In 1929, Raffles College was established to promote arts and social sciences at tertiary level for Malayan students. Two decades later, Raffles College was merged with the King Edward VII College of Medicine to form the University of Malaya on 8 October 1949. The two institutions were merged to provide for the higher education needs of the Federation of Malaya and Singapore. 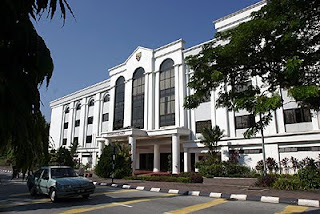 The growth of UM was very rapid during the first decade of its establishment and resulted in the setting up of two autonomous divisions in 1959, one located in Singapore and the other in Kuala Lumpur. In 1960, the governments of the Federation of Malaysia and Singapore indicated their desire to change the status of the Divisions into that of a national university. 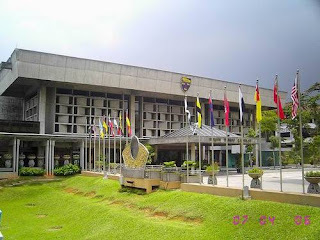 Legislation was passed in 1961 establishing the former Kuala Lumpur division as the University of Malaya while the Singapore division was renamed the University of Singapore, the predecessor of today's National University of Singapore, on January 1, 1962. On June 16, 1962, the university celebrated the installation of its first Chancellor, Tunku Abdul Rahman, Malaysia's first Prime Minister. The first Vice-Chancellor was former Dean, Sir Alexander Oppenheim, the world renowned mathematician who formulated the Oppenheim conjecture in 1929. When Oppenheim left in 1965 with no successor in sight, Rayson Huang who later went on to become the first Asian Vice-Chancellor of the University of Hong Kong, was asked to take over as the Acting Vice Chancellor. He served in that capacity for 12 months but declined reappointment in order to return to academic pursuits. Chin Fung Kee, an authority in geotechnical engineering, replaced Huang as Acting Vice-Chancellor until the university succeeded in filling the position in 1967 by the appointment of James H.E. Griffiths. A distinguished physicist and a fellow of Magdalen College, Griffiths was also the former head of Clarendon Laboratory of Oxford University and one of the discoverers of ferromagnetic resonance. In 1968, economist Ungku Abdul Aziz succeeded Griffiths as Vice-Chancellor, making him the second Malaysian after Chin to be elevated to the highest executive office in UM and the first Malaysian to be appointed as full Vice-Chancellor. This development was a precursor to the introduction of ethnic quotas into public universities with the introduction of the New Economic Policy in 1971. On May 1, 2006, the first woman Vice-Chancellor when former Dean of the Faculty of Law, Universiti Malaya and later assistant governor of Bank Negara Malaysia, Rafiah Salim, was appointed to the position. The THES - QS World University Rankings has ranked UM in the top 200 universities of the world, although its position has varied from 89 to 246. It was ranked 89, 169, 192, 246, 230 and 180 for the years 2005 to 2009 respectively, and these fluctuations were perceived as a progressive drop and became an object of public questioning and controversy about the perceived declining standards of Malaysian universities and the apparent lackadaisical attitude of UM in addressing long standing issues. This prompted the Ministry of Higher Education to establish its own competitive ranking system between Malaysian public universities known as the Rating System for Malaysian Higher Education Institutions or SETARA following an Academic Reputation Survey conducted the year before. The results of the first SETARA exercise were published in 2008 and University of Malaya came out as the top university in the country. It was the only university which achieved a rating of 5 (out of maximum 6). UM has three campuses, two located in Kuala Lumpur and the other located in Kelantan. The Main Campus is located in the suburb of Lembah Pantai, southwest of Kuala Lumpur. The campus has an area of 750 acres (3.0 km²) and is the original campus of the Kuala Lumpur division of the original University of Malaya. Most of the main administrative buildings and faculties are located here. The 80 hectare Rimba Ilmu Botanical Gardens are also located within the campus. The City Campus is located in the Bukit Persekutuan area of Kuala Lumpur approximately 15 minutes away from the Main Campus. The University of Malaya Centre for Continuing Education, Institute of Principalship Studies, International Institute of Public Policy and Management, Graduate School of Business and the City Campus library are located here. The Academy’s branch campus in Nilam Puri, Kelantan offers courses in Islamic foundation studies in Shariah, Usuluddin, Islamic Studies and Islamic Education with Science. Tahniah UM..nak harap u lain kt malaysia memang tak la..
Ala... setakat nombor 180 pun nak bermegah.... Research tak berjalan mana pun, lecturer Bangla semakin menghiasi fakulti yang patut mengeluarkan lebih banyak inovasi. Proud of UM!We can surely improve our ranking..impossible is nothing..n talking abt lecturer Bangla..diorg mmg deserve 2 b there..keje diorg mmg up to d standard..kalo xtau..jgnlah nak memandai comment..
I’m a student from Bangladesh. I want to get admission in your University. I found Your University address from sromobazar.com.Can I apply from the site to you? Do you have any agent in Bangladesh? every victory has its beginning.. congratz UM!n i'm sure that the rank will improve..
lecturer bangla?then what?i dun see any problems with that..